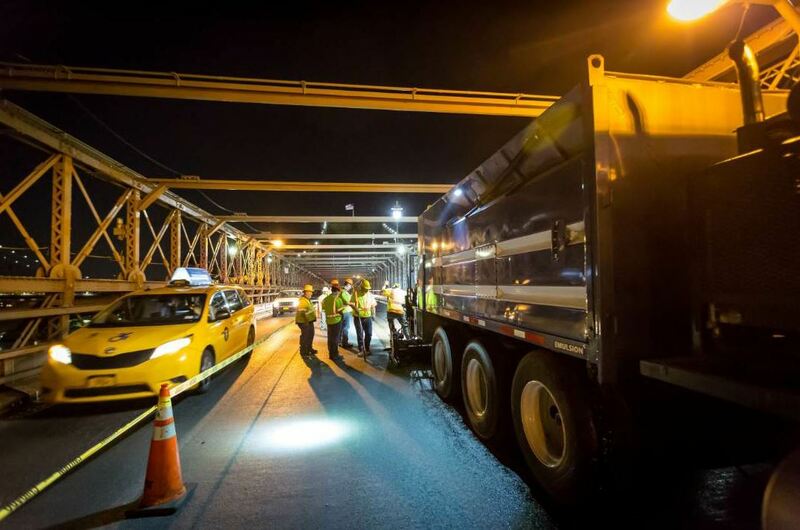 Micro surfacing relies on specialized equipment to combine polymer-modified asphalt emulsion, mineral aggregate, water and additives, and uniformly spread this mixture over a properly prepared surface. Micro surfacing is a polymer-modified, cold-application paving process. 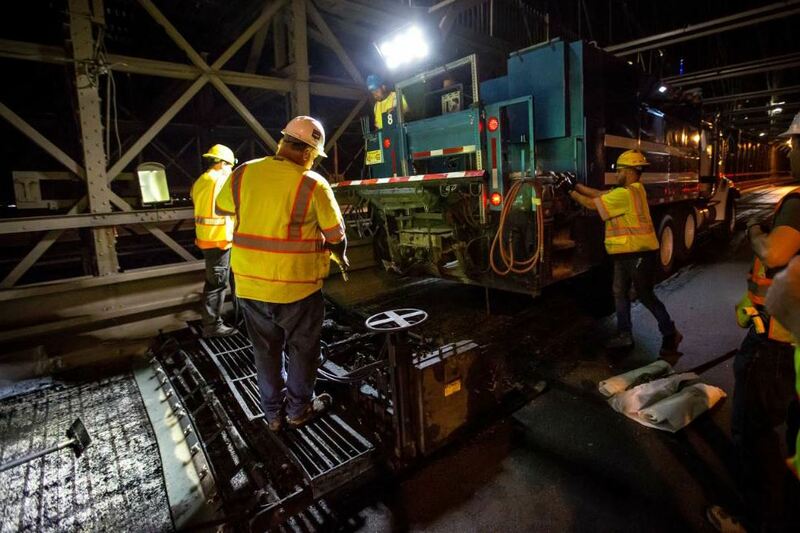 It relies on specialized equipment to combine polymer-modified asphalt emulsion, mineral aggregate, water and additives, and uniformly spread this mixture over a properly prepared surface. The asphalt emulsion breaks onto the pavement surface. Then, when the mixture cures by loss of water, it will be bonded to the existing pavement to create a long-lasting wearing surface. You may be more familiar with the process’s parent product, slurry seal. However, the use of polymer-modified asphalt emulsion in micro surfacing (versus standard asphalt emulsion in slurry seal) allows for the surface to set in less than an hour. According to Pat Denney, Micro Surfacing Manager for Road Science, Tulsa, Oklahoma, slurry seal emulsions can be produced with a cationic quick-set emulsifier (CQS), a cationic slow-set emulsifier (CSS), or an anionic slow-set emulsifier (SS). CSS and SS emulsifiers depend largely on evaporation for curing, making them much slower to cure. Although it may take up to four hours or longer for a slurry seal to cure enough to open for traffic, micro surfacing is designed to allow straight rolling traffic within one hour of paving. In addition to a faster curing time, the added durability that a polymer-modified emulsion offers makes micro surfacing an attractive option for busier roads. “Micro surfacing has a broader range of applications including interstates and state highways where slurry seal cannot and should not be used,” Denney said. Slurry seal emulsions can be made with or without polymer, but micro surfacing emulsions always have a minimum of 3 percent polymer by weight of asphalt according to specification. It’s important to note that, despite its benefits, micro surfacing has no effect on the structural capacity of the existing pavement. As such, micro surfacing should only be used to extend a roadway’s service life, not in the hopes of repairing structural damage. Minor distress can include some cracking, oxidation, raveling and rutting. Before placing the micro surface, Kendrick said it’s important to repair any damage on the roadway. Cracks must be sealed and all patches should be made. One pavement distress that may not need to be repaired prior to micro surfacing is rutting up to 1 ½ inches deep. Applying a micro surface can also improve skid resistance and surface permeability. Other benefits of micro surfacing include no loss of curb reveal, no transitions at intersections and driveways, and no alteration of drainage. Whether micro surfacing is done as a single or double lift, adjustments to manholes, inlets and the like are not necessary. “Another benefit of micro surfacing is that it can be used alongside other applications,” Kendrick said. For example, it can be used alongside a cape seal, where a chip seal is covered with a slurry seal or micro surface. A micro surfacing treatment can last up to 7 years. Over the next few pages, we’ll outline the best practices of micro surfacing so your treatment looks good and lasts long. Although the required ambient temperatures change from state to state, Kendrick said most states require temperatures of 50 degrees and rising and no chance of freezing temperatures within 48 hours of application. Even at the correct ambient conditions, the humidity, cloud cover or even shade on the roadway can affect the curing of the micro surface. “Emulsion formulation is very important and will change over time as the season changes from spring to summer and then to fall,” Denney said. Denney said that most, if not all, agency design specifications for micro surfacing are based on ISSA A143 Recommended Performance Guidelines for Micro Surfacing. Although the inspection requirements for micro surfacing vary from agency to agency, Denney said all agencies require quality control on the aggregate being delivered to the stockpile site. The materials for micro surface are mixed in a very specific process, in measurements based on the mix specification, within the pugmill, seen here. The contractor must also provide emulsion test results from their producer showing that the emulsion passes specification, Denney added. “Some or most agencies require that the emulsion producer provide a sample of emulsion to the agency for testing,” he said. The agency must also ensure that what is supposed to be laid in pounds per square yard by weight of mix or by weight of dry aggregate is what they are actually getting. This can be accomplished by requiring contractors to provide load weight tickets for aggregate delivered to the roadway. Micro surfacing mixture is made and applied on the job site with a specialized machine. The machine combines the materials, which include mineral aggregate, polymer-modified asphalt emulsion, water and additives, based on the project’s specifications. These materials should be stored as near to the job site as possible. At the stockpile staging area, it’s important that the delivery site for the aggregate is flat and free of vegetation. Denney recommends a gravel, cement, or asphalt surface. Regardless of the underlying material, loader operators should take care to avoid contaminating the aggregate with dirt, vegetation or any other contaminant. It’s also important to ensure the screening deck is free of contaminants and is in good working order. It’s also important that the delivery transports, transfer tanks, and tanks on the project that will be used for the emulsion are also free of contamination, and that the screens on equipment are cleaned daily. Micro surface also requires a reliable source of potable water. Additives may include both wet and dry additives. The storage area for these additives should be clean and dry additives should be covered by a tarp to protect them from moisture. It’s also important to ensure that the tanks, drum barrels or totes are contaminant-free. Additives may also include portland cement or hydrated lime to stabilize the mixture during the mixing phase. It’s important to ensure there are enough materials at the stockpile site and enough mobile support units to transport it to the job site to constantly supply the micro surface machine with material. This both maximizes production and minimizes transverse joints. 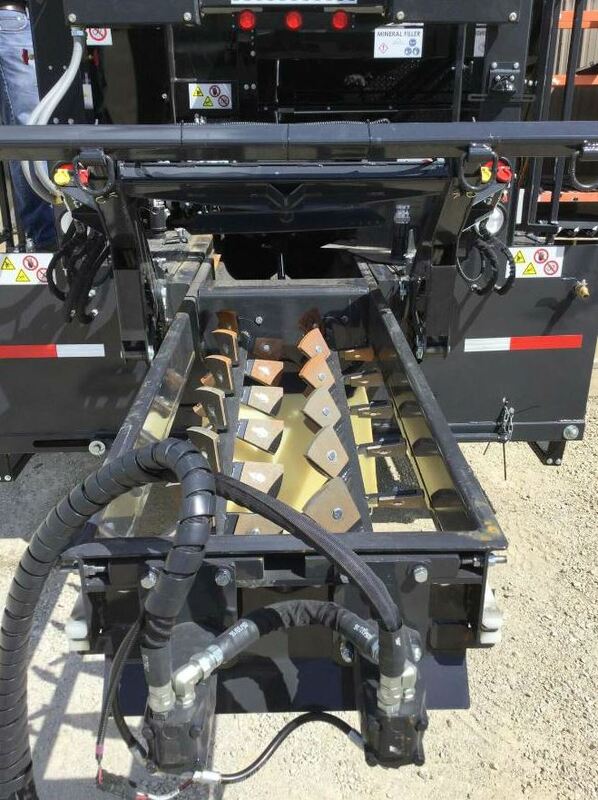 “Having enough mobile support units will affect your production rate and are part of the continuous paving process,” Kendrick said. Typical jobs covering 6 to 8 miles per day require between four and six mobile support units, he added. Denney added that it’s also important to conduct occasional checks for stockpile moisture content. The stockpile area may also serve as the best location to place test strips to ensure appropriate mix and cure rates. As with any pavement preservation method, the surface of the job should be clean and dry. You will also need to grind up any thermoplastic striping within the area to be micro surfaced and cover all castings, such as manholes and inlets. You should also place a damp-proof membrane at the beginning and end of the application area to ensure the straight lines. When the surface is ready, it’s time to tack. As mentioned earlier, micro surfacing mixture is made and applied on the job site with a specialized machine. The materials are mixed in a very specific process, in measurements based on the mix specification, within the pugmill. The composite material is then fed into a spreader box to spread it over the full width of the traffic lane in a single pass, often ⅜ of an inch thick. Micro surfacing can be laid at a thickness of two to three times the size of the largest stone in the mix. A double lift may be required for a more robust wearing surface, on roads with higher traffic counts, or where rut filling or leveling is employed. It’s recommended to wait a minimum of one day between placing the first lift and the second lift, but the exact waiting period required will depend on the agency and the traveling speed on that roadway. “Micro surfacing is looked at in pounds [of aggregate] per square yard [of material],” Kendrick said. “So if you’re trying to achieve a higher level of pounds per square yard, you’ll need to do multiple lifts.” He said two lifts may also be required on roads that have a bit more cracking. If there are deeper ruts to be filled, the crew may make one pass with a rut box attached to their micro surfacing machine. The box is designed in such a way that it augers material right into the rut so it’s not spread out over the width of the lane, Kendrick said. “And then it has a rear strike off to make it level.” Then, the crew applies micro surface to the entire pavement on the second pass. Whether applied in one lift or two, it’s important that the meet lines are made at the center of the road, the center of a lane, or the edge of a lane, but never in the wheel path. The meet line should overlap no more than 3 inches, maximum. The micro surfacing machine should also travel in a straight path to maintain the longitudinal joint and to ensure edge lines along shoulders, intersections, driveways and curbs are straight. Denney also recommends maintaining a consistent speed of operation to avoid outrunning support vehicles. 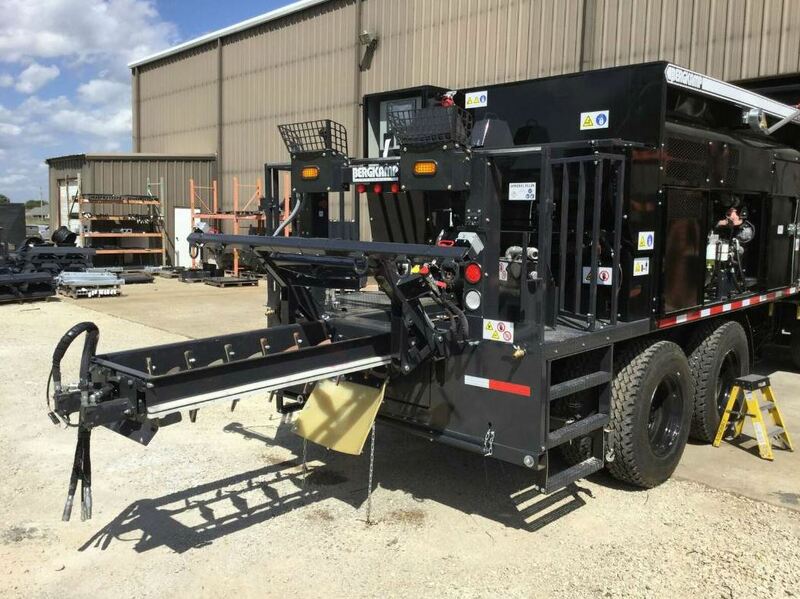 As the micro surfacing machine travels along, the crew may need to perform some hand work around driveways and intersections, as well as smooth out any rough spots of larger aggregate that may make it through the screener to the pavement. The new surface may initially appear dark brown, but will be black after it cures. It’s also important to keep traffic off of the newly micro surfaced pavement until it cures. Turning traffic may need to be kept off the surface even longer. Properly maintaining equipment is also key to ensuring a high quality mat. Both Denney and Kendrick recommend cleaning the spreader box every time the machine is stopped. The primary and secondary strike-offs should also be cleaned of “any dried, broken material to ensure a consistent cosmetic appearance of the mat”, Denney said, adding that it may be necessary to stop specifically to clean the box and strike-offs if they are leaving drag marks in the mat. Denney also recommends allotting enough time at the end of the day for maintenance and clean up, and that the foreman or superintendent inspect the equipment before wrapping up for the day. Denney said the most common mistakes when it comes to micro surfacing include lack of attention to detail, lack of understanding the differences between micro surfacing and slurry seal, and a lack of proper training. He added that the International Slurry Surfacing Association, or ISSA, offers a four-day training workshop every January and that the Pavement Preservation and Recycling Alliance (PPRA) is also a helpful resource for information and online training. He recommends establishing a good relationship with an emulsion supplier early on to help guide contractors new to micro surfacing through the process.